Over a dozen tightly knit Agent Groups are attempting to activate Tecthulhu modules at the event. The overwhelming belief is that these modules represent significantly stunted Tecthulhus -- and Niantic is actively encouraging these so-called 'art projects.' We are unable to estimate whether any of these Tecthulhus could 'fully activate.' Even a single Tecthulhu at an Anomalous Event, in a known Anomalous Zone, could be either catastrophic or epiphanic depending on its impact. 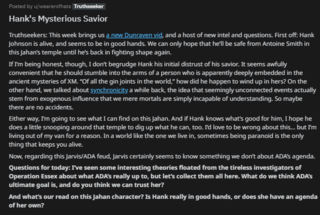 We believe there might be a 'Remote Participation Event' disguised as a Role Playing Game. 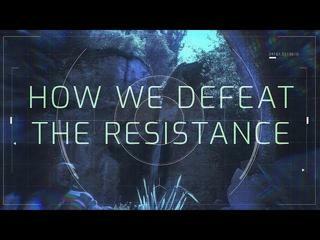 The terminology of 'Remote Participation' comes from a theory developed by Stein Lightman that those participating in a simulated awareness exercise (such as a game or interactive narrative system) could potentially alter the universe state in tangible ways. His research, of course, builds upon well established 'Remote Viewing' experiments. Lightman's theory suggests that a Remote Participation's effects could be magnified with Anomalous XM zones -- which the Navarro area is. Niantic continues to push the 'game' angle of this event while masking potential Remote Participation impacts. 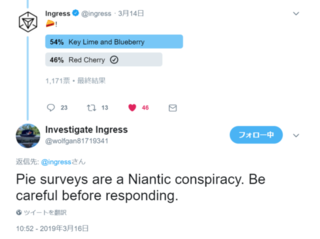 We believe that Niantic could be using this event to develop a target list of potential testers for a variant Scanner that, reports indicate, may show signs of Exogenous interference. 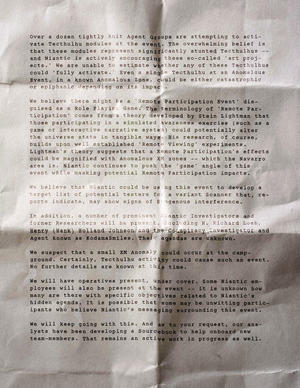 In addition, a number of prominent Niantic Investigators and former Researchers will be present, including H. Richard Loeb, Henry (Hank) Holland Johnson and the Conspiracy Investigator and Agent known as KodamaSmiles. Their agendas are unknown. We suspect that a small XM Anomaly could occur at the campground. Certainly, Tecthulhu activity could cause such an event. No further details are known at this time. We will have operatives present, under cover. 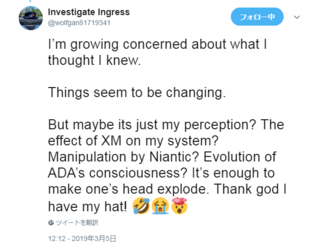 Some Niantic employees will also be present at the event -- it is unknown how many are there with specific objectives related to Niantic's hidden agenda. It is possible that some may be unwitting participants who believe Niantic's messaging surrounding this event. We will keep going with this. And as to your request, our analysts have been developing a Sourcebook to help onboard new team-members. That remains an active work in progress as well.